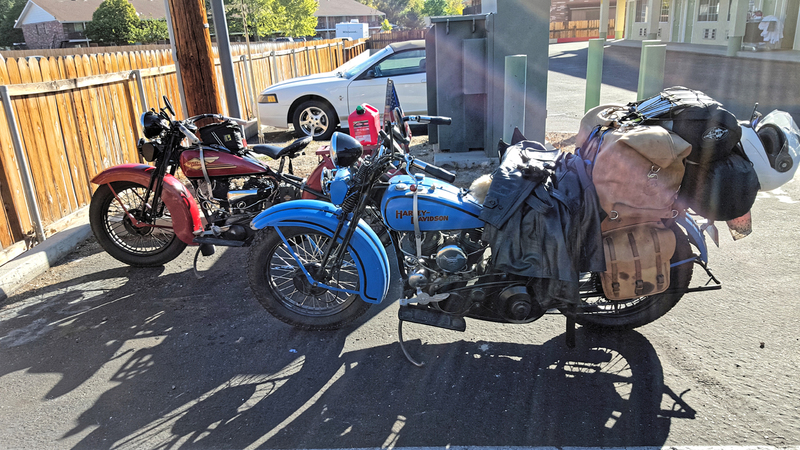 Before leaving the Days Inn in Carson City, we both made some final adjustments to our bikes. 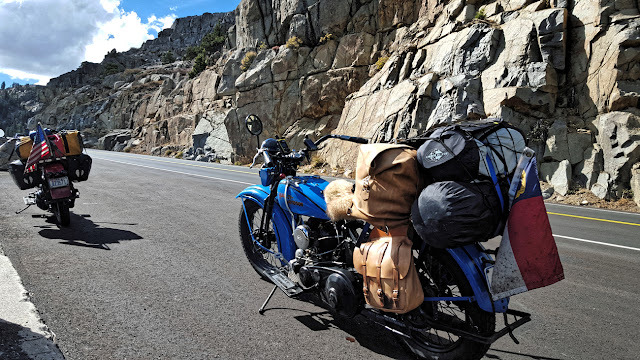 Now that we are so close to our final destination, it would be foolish to have something like a loose chain or poorly adjusted valves possibly put an end to the ride. 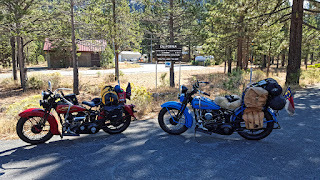 Once both bikes were packed and ready, we rode back into the mountains, making our way to Lake Tahoe. The ride from Carson City to Lake Tahoe was only about 30 miles, but we still stopped at the lake to walk around a take some photos. 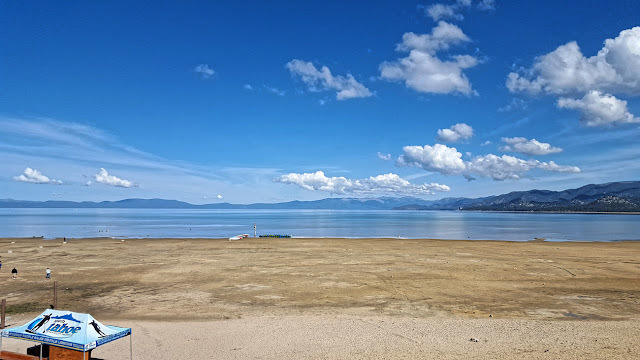 I've heard a lot about the drought out west and when we stepped onto the beach, it became clear just how little it had rained in the past few years. The lake levels were so low that many of the piers no longer reached the water's edge. In the photo below you can see a distinct line marking what used to be a small sandy beach that now has been increased at least 100'. As we followed the southern edge of the lake, we crossed into California with little fan fare and apparently there wasn't even an official "Welcome to California" sign. In the end we were forced to get a photo by a sign for a maintenance station. 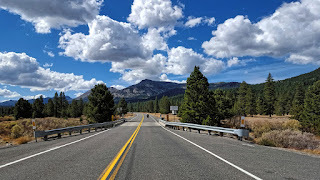 The peaks weren't as high as those in Colorado, but there was a considerable amount of climbing which wasn't the best choice for our last long day of riding. 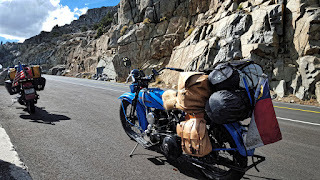 My bike ran great, but I felt like I was tempting fate each time I motored up another pass. 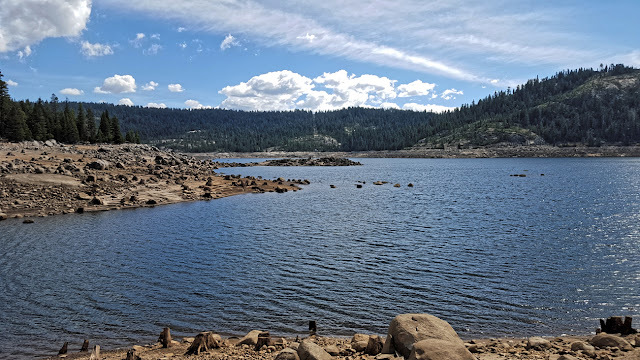 Eventually it became clear that there were not many towns on the "scenic route" and we were forced to take a detour to get gas at a marina on the Bear River Reservoir. 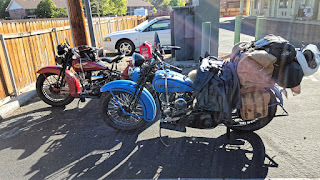 Tim still had his 2.5 gallon gas can, but we foolishly decided that we wouldn't need extra gas in California and used it to top off the tanks that morning. So we filled the bikes up with old boat gas and then chugged the two miles back up the mountain to reach the highway. After lunch, we met up with our good buddy Joe and he lead us out of the mountains. 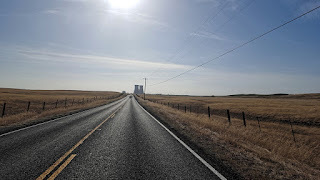 Finally we were back to flat country and elevations closer to sea level. I turned my high speed needle a couple clicks to richen up the mixture and enjoyed the lack of incline as we rolled towards an old nuclear power plant. 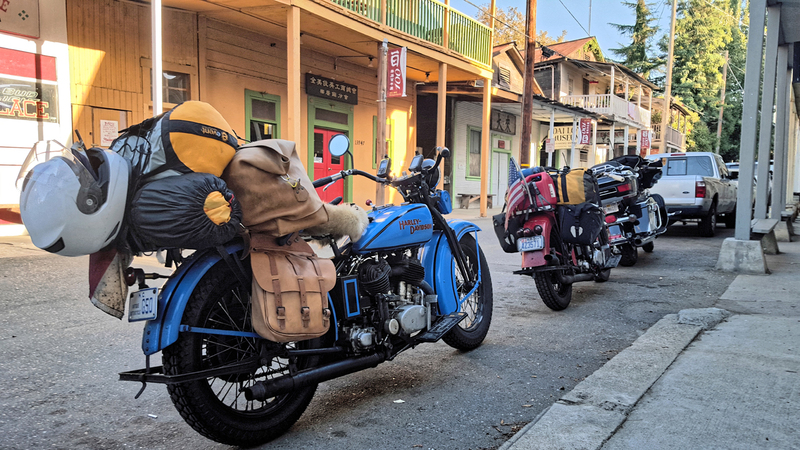 Along the way to Joe's house, we stopped in the historic town of Locke, CA. Founded in 1915 by Chinese immigrants, Locke has changed little in the last 100 years. Brightly painted buildings set on narrow streets still housed various shops and restaurants, catering to locals and tourists alike. For the first time in weeks, it wasn't our bikes that stood out, but the late model cars and trucks that looked out of place. 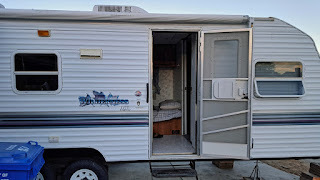 Our home for the night was a well appointed travel trailer parked in Joe's driveway. For the second night in a row I slept in a bed, which after 18 days on the road was a bit of a novelty. Our 160 mile trek through the mountains leaves us within 60 miles of the coast and our final destination.